l. 1 Year In California! 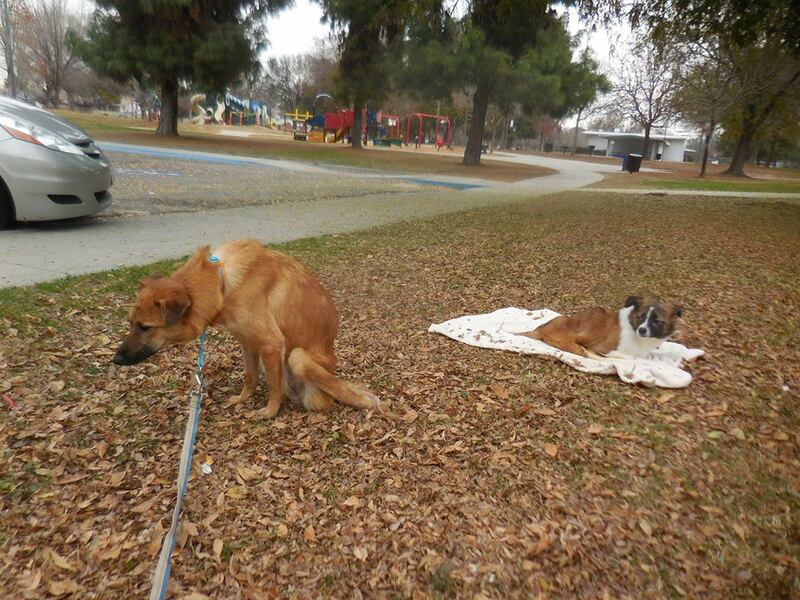 Wu Wei & Jian Qiang have been in their new home in California for 1 year and they have settled in so well. 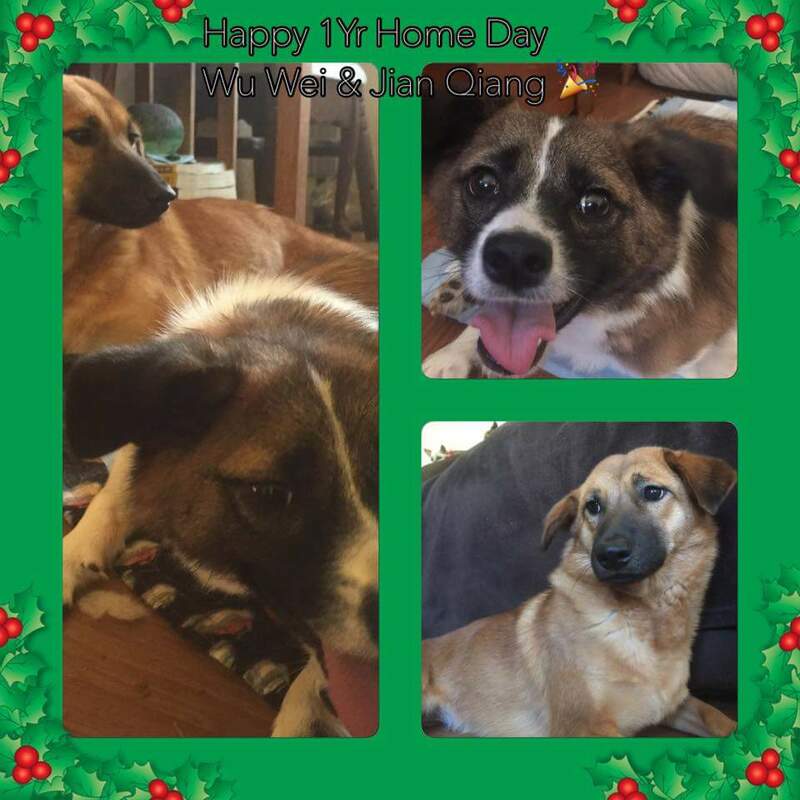 We are very grateful to Danielle, their new mommy, for adopting 2 of our disabled dogs because in China, no one wants disabled dogs. Please support Danielle's Facebook page. 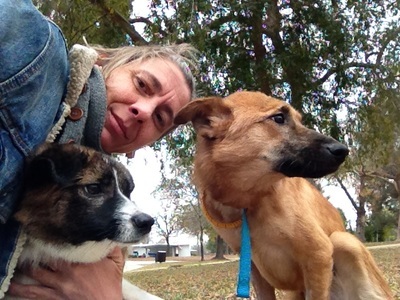 She rescues old and disabled dogs (as well as hogs and goats!) who otherwise wouldn't have homes. 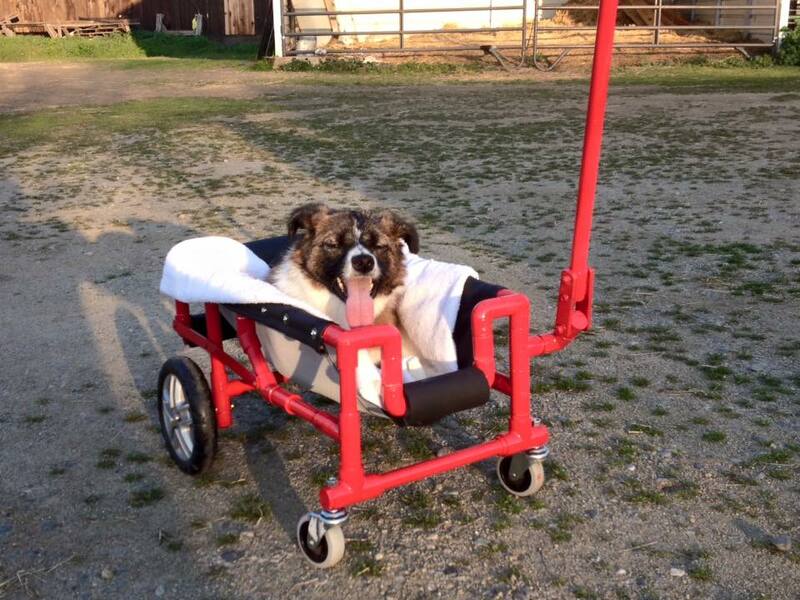 k: Wu Wei Gets His Wheels! Our dream for disabled dog Wu Wei was to find him a home where his disability could be helped so that he could enjoy a somewhat 'normal' life. He found that when Danielle offered to adopt him at her home in California. Since travelling to her sanctuary before Christmas 2015, Wu Wei has come on in leaps and bounds. One of his front legs was too deformed to enable him to have a cart where he could pull himself along so a custom made wheel cart was made for him by pixiepony.com. They also made Jian Qiang's cart. 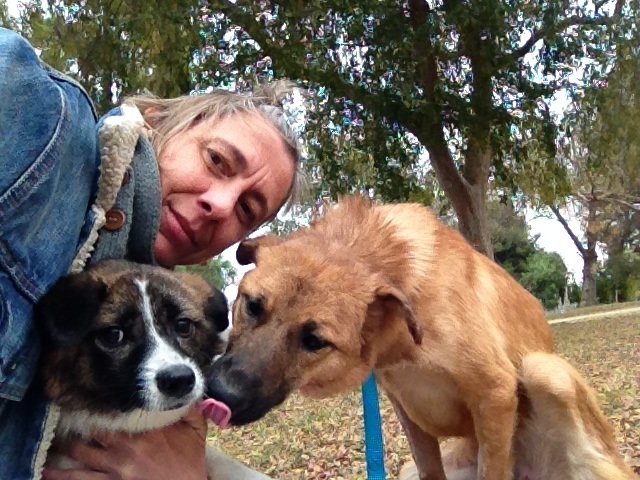 Now, Danielle can pull Wu Wei along to accompany her and the other dogs on walks around the sanctuary grounds. 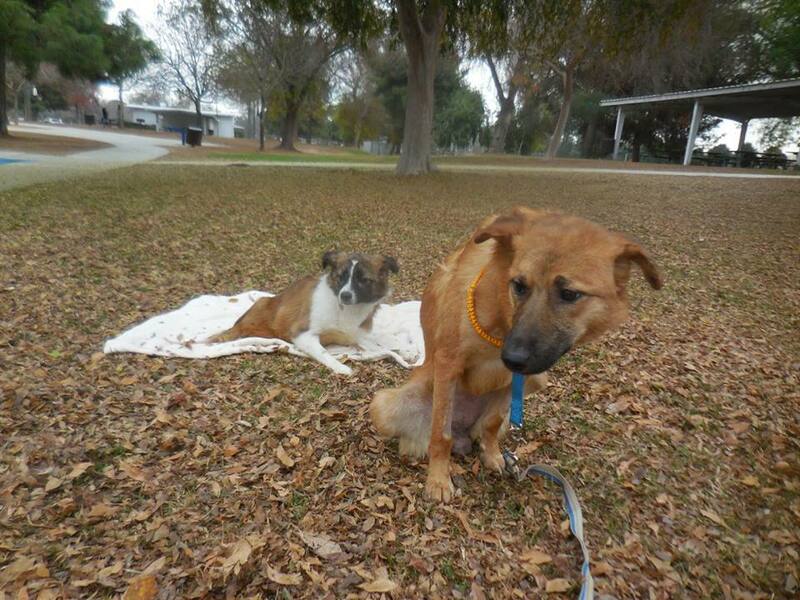 Facebook page and donating to help her continue to rescue and look after disabled and senior dogs. ​She has literally been a lifesaver to our 2 disabled dogs, as she has been for all those she has adopted. Thank you. j: Jian Qiang Gets Her Wheels! Jian Qiang was measured for her wheels along with Wu Wei but she has received hers first and look how well she is doing! 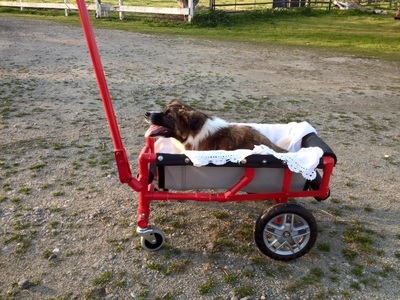 We are so thankful to Danielle and to the company pixiepony.com who are making the wheels for both of them. It is wonderful to see how well they have both settled in to their new home. Wu Wei is more disabled than Jian Qiang because he can't pull himself around like she can so we are delighted to show you videos that Danielle has taken of his progress. He is having regular baths because with no control and being unable to get around to ask to go outside to pee, he is soiling himself. We know this only too well so the regular baths that Danielle has been giving him are both cleaning him and helping to build his muscles in a safe, non painful way. ​He has also been measured for a wheelchair! Jian Qiang can get around by herself but has been measured as well to save her legs and feet. Wu Wei will be getting a lie down cart so that Danielle can wheel him around. 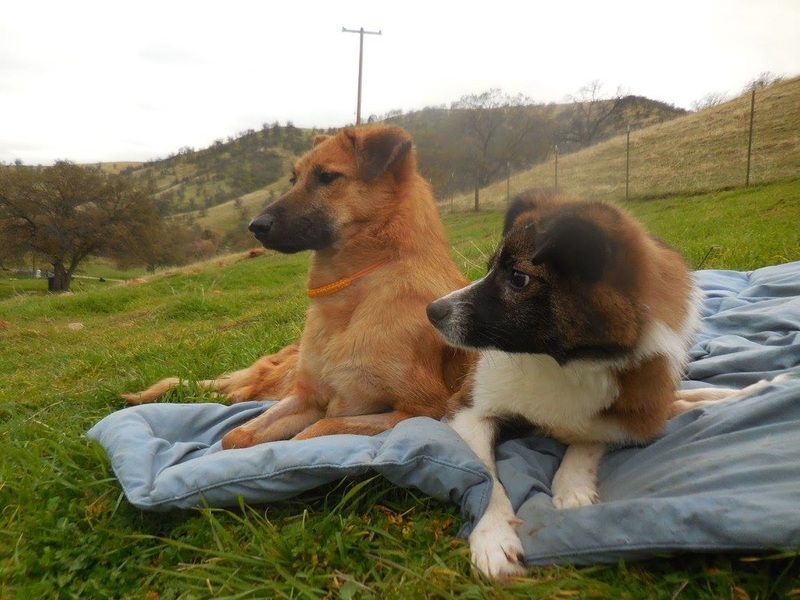 2016 is turning out to be the best year for these 2 sweethearts and it is so good to see them progressing and well and truly settling in to their new home in California. 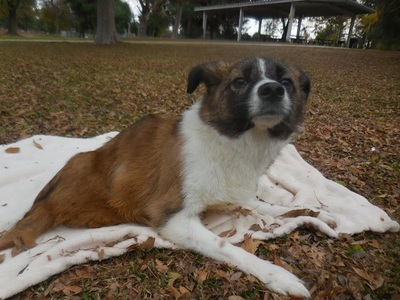 ​Wu Wei has been settling in very well at DREAMS and is really coming out of his shell, playing with the other dogs and crawling more. This is thanks to Danielle's continued efforts to get him moving more while he has his baths. 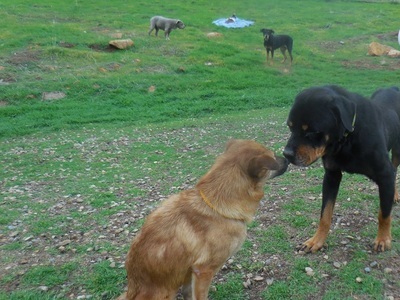 It is great to see how he has joined the pack so easily at the sanctuary and how well the other dogs have accepted him! Jian Qiang & Wu Wei are settling in well at their new home. Their new mom Danielle has been showing them the sights and sounds at the sanctuary. They have lots of new brothers and sisters including some goats and Wilbur the wild boar, Holly the pig and the resident goats. 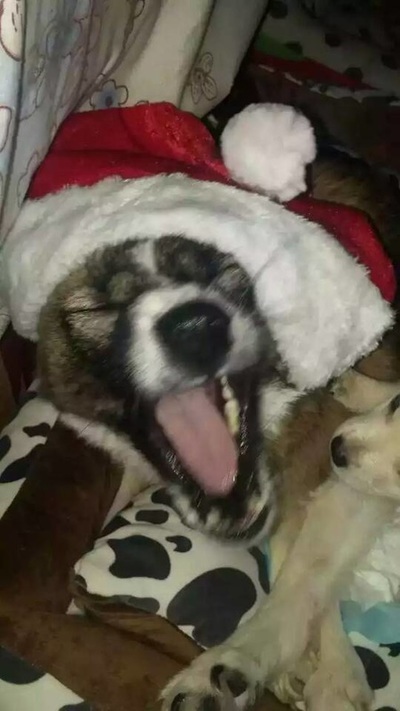 ​After their long flight from China to America, and then the journeys in Kim's and Danielle's cars, both dogs were very tired so Danielle isolated them from the other animals for their first night at DREAMS Sanctuary so that they could get used to the new smells and sounds before meeting their new brothers and sisters the following day. On the way back to the sanctuary, after Jian Qiang and Wu wei had been collected by Danielle from Kim's, the dogs were given a chance to stretch their legs and get some fresh air at Bakersfield Park. They were eager to smell the new things around them too and Jian Qiang reassured Wu Wei by giving him kisses! After a nearly 12 hour flight from Hong Kong to California, Jian Qiang and Wu Wei finally landed in their new home country. 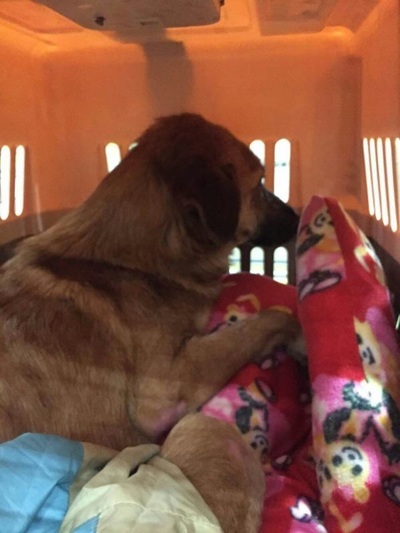 Danielle's friend Kim collected them from LAX airport because she lived nearer to the airport and Danielle wanted to let the dogs have a rest before she took them to her sanctuary. 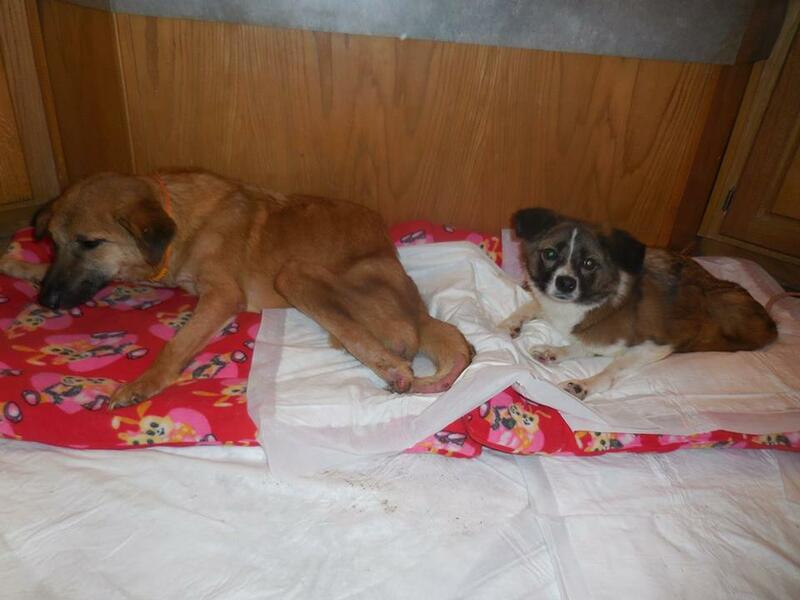 Kim took good care of them until the following day when Danielle went to collect them both. Jian Qiang and Wu Wei faced a long and tiring journey to their new home in America but it would be worth it in the end. The first leg of their journey was when we said our tearful goodbye to them at Chengdu Airport for their flight to Shenzhen. Du had placed them in wire travel cages, taped to make them sturdy and secure. 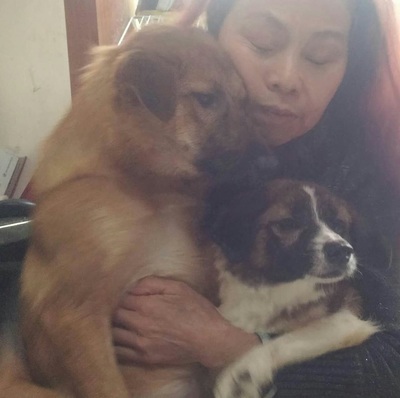 She had packed them their favourite blankets which would give them comfort on their flights, able to smell Du and the Bo Ai team. Once at Shenzhen Airport they stayed overnight in the pet hotel there and had lots of rest and sleep. 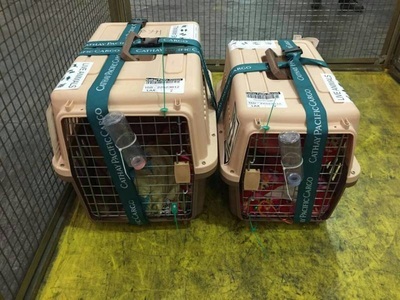 The following day they flew from Shenzhen to Hong Kong where they were transferred to IATA approved pet travel crates for the final leg of their journey to LAX Airport in California. We will miss these fur babies, never believing that anyone could be so kind as to adopt a disabled dog, let alone 2 at the same time! 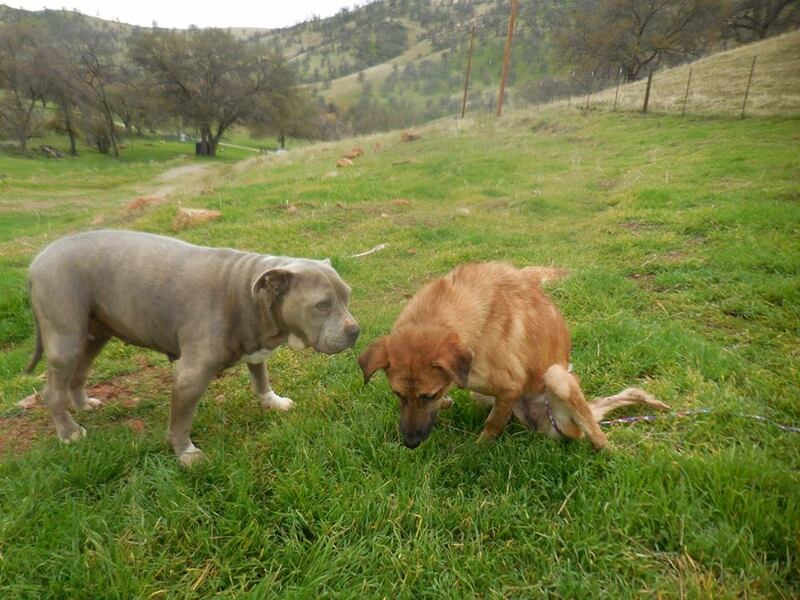 ​Now they will be protected by animal protection laws. With the flight date getting nearer and the party and vaccinations over with, Jian Qiang and Wu Wei were given baths to make them more presentable. Both dogs were given special meals before they were taken to the airport and lots of love and cuddles. Wu Wei & Jian Qiang will be at the DREAMS Sanctuary with Danielle by Christmas now that they have had their microchips and vaccinations. 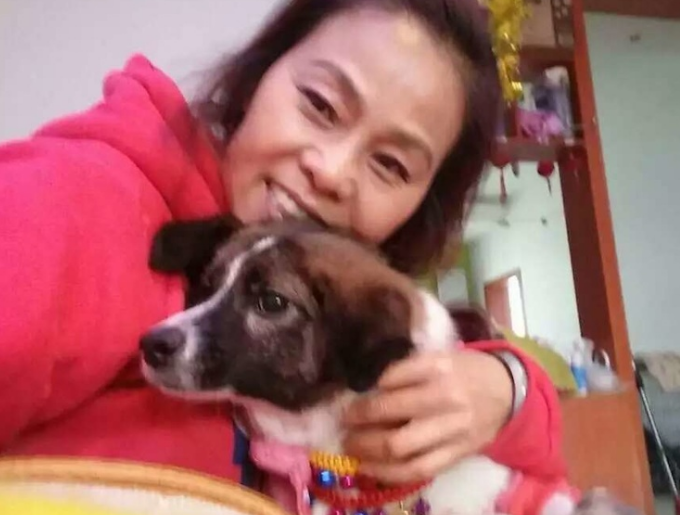 This is the first time that any disabled dogs from Bo Ai have been adopted and we are all excited that they will now have the chance of a life that any dog should have with access to advanced veterinary treatments and wheelchairs! 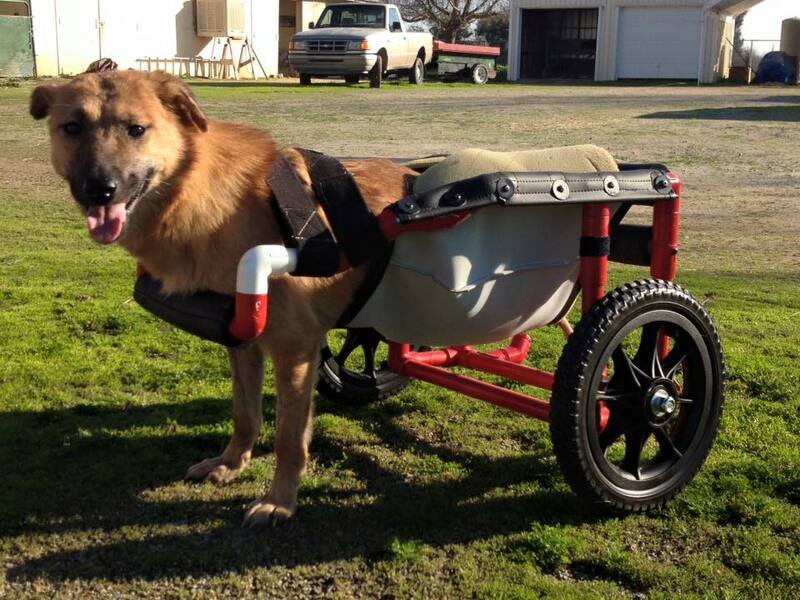 Danielle has told us that a company who has helped her out before will make custom wheels for both dogs. 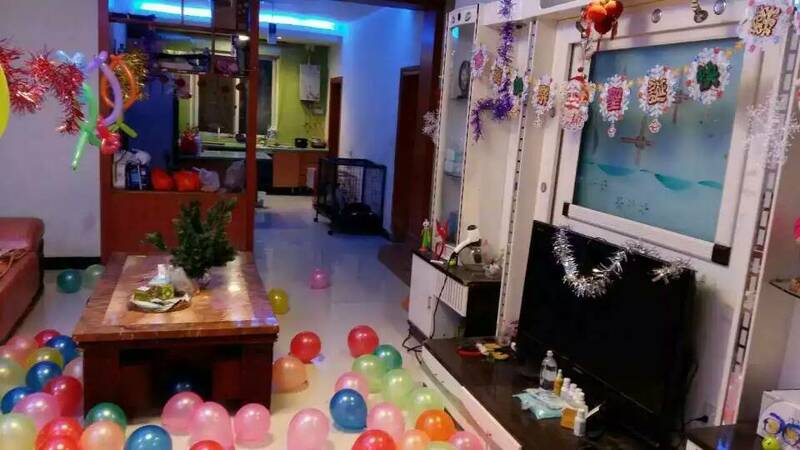 Du and the rest of the team prepared a leaving party to wish Wu Wei & Jian Qiang well in their new home. All the volunteers visited to say goodbye and the disabled and sick dogs were given special food too. 2 of our disabled dogs, Wu Wei & Jian Qiang have both found their forever home and will be going together to a sanctuary in California called DREAMS (Disabled R Elderly Animals Mountain Sanctuary) very soon. 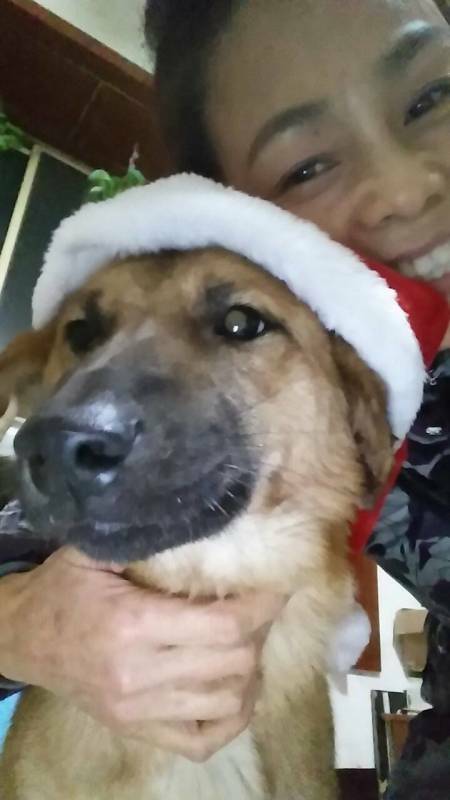 Wu Wei was rescued with his siblings, at approx 7 weeks old, dumped in a cardboard box by the roadside. 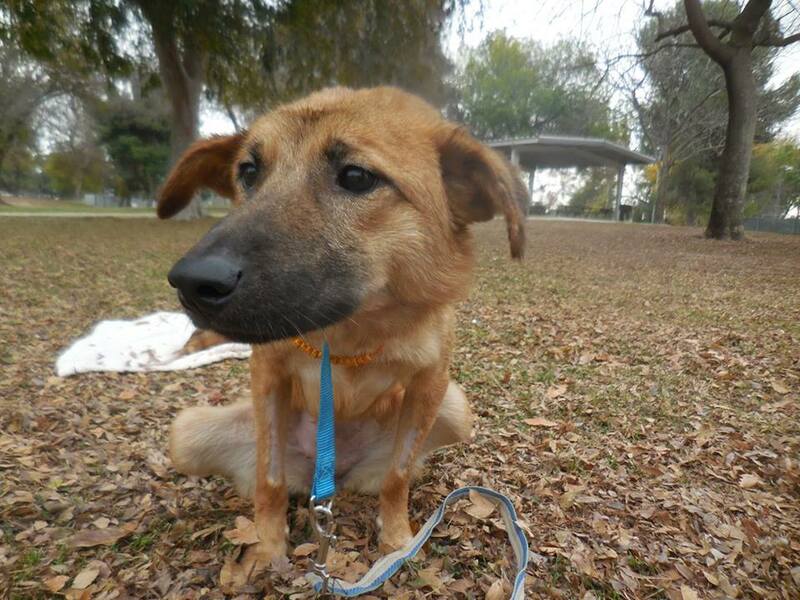 All of the puppies had leg deformities but Wu Wei's was the worst and it didn't respond to treatment. Danielle, the sanctuary owner will have them a wheelchair made each so that they can whizz around and interact with the other sanctuary animals. 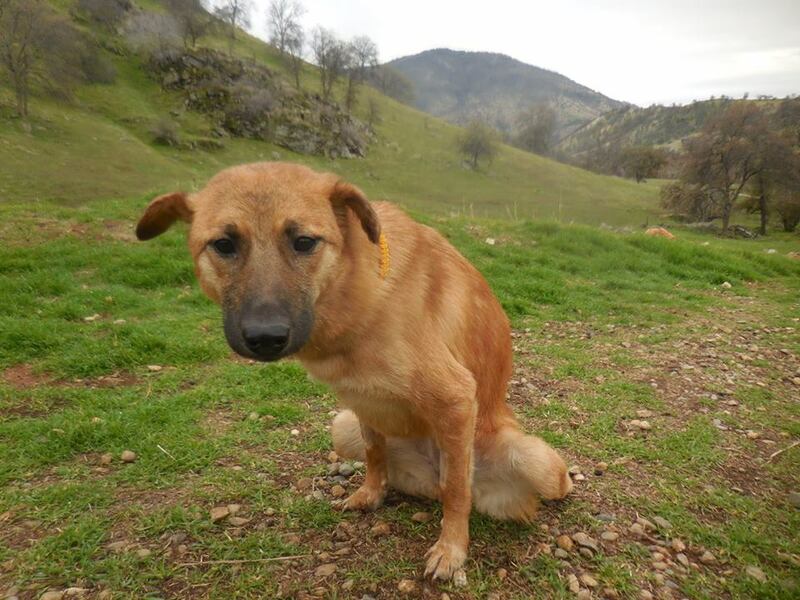 We would like to extend our thanks to the kind animal lovers who donated to get Wu Wei to California, because at first he was going alone. 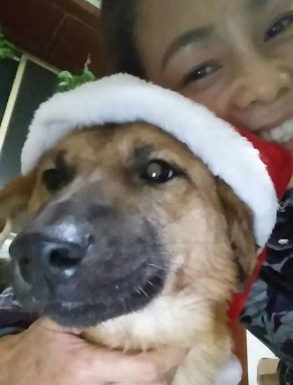 Thanks also to the team at Phnom Penh Animal Welfare Society in Cambodia who do such great work for the street dogs and cats there and who made a donation towards the flight cost too. 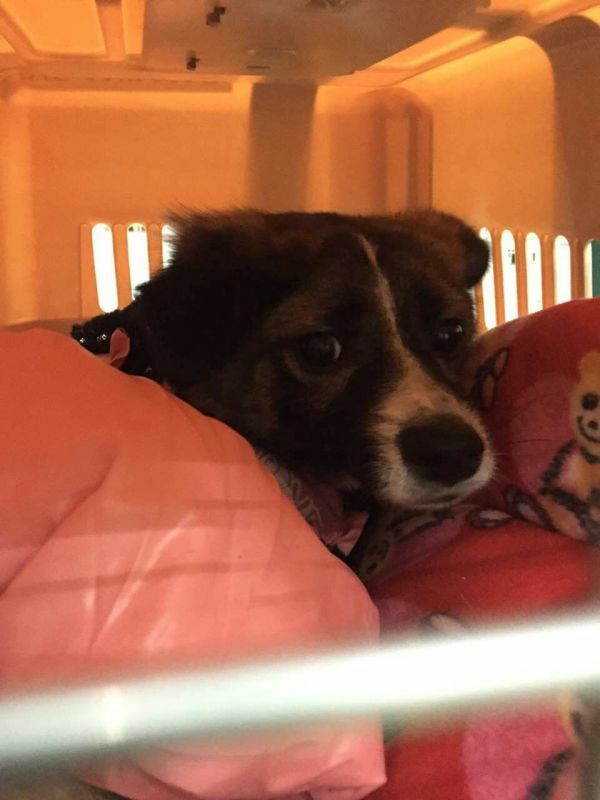 Special thanks go to our partner, SPCA International who donated the rest of Wu Wei's air fare. 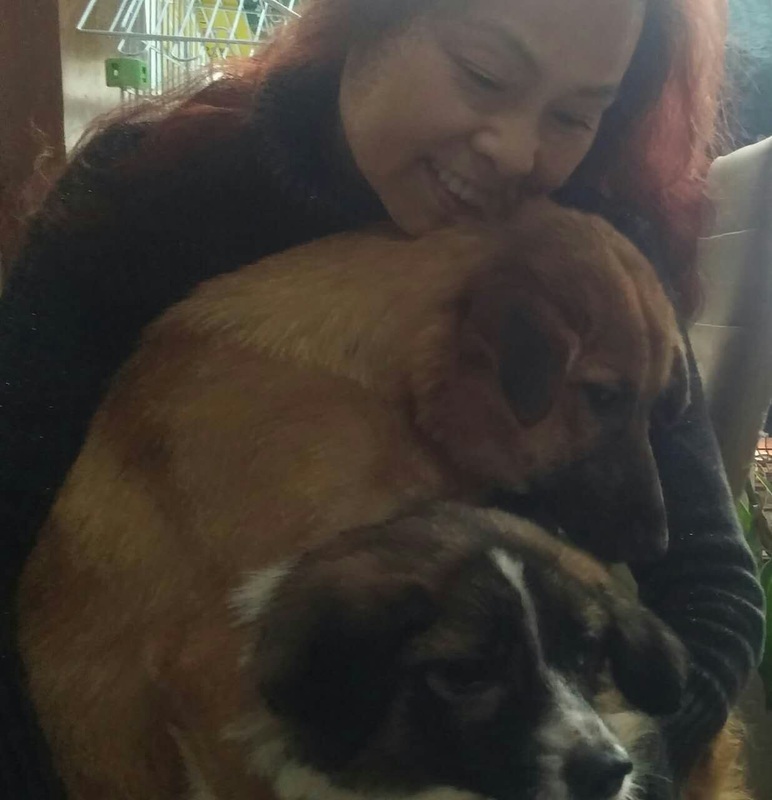 When Danielle kindly agreed to adopt Jian Qiang at the same time as Wu Wei, there wasn't enough raised for her air fare too so we would like to thank a very generous local Chinese supporter of ours who paid for Jian Qiang's flight.